You are here: Home / FREE Printables / Alphabet Worksheet Freebie! I just love teaching children the alphabet. Here is a great way for them to practice what they are learning in a super fun way. Grab your dabbing markers and let’s have some fun! This post contains some affiliate links for your convenience. This means I may receive a small commission if you purchase anything through these links. Click here to read my full disclosure policy. I’m sure this is a silly question, but how do I download today’s freebie? 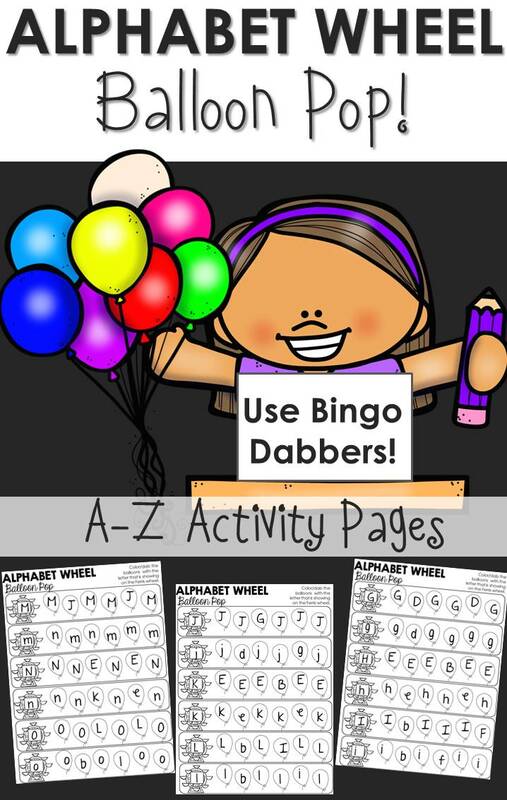 My screen just has the picture of the alphabet balloon pop, but there isn’t a link to the printable. What am I doing wrong?